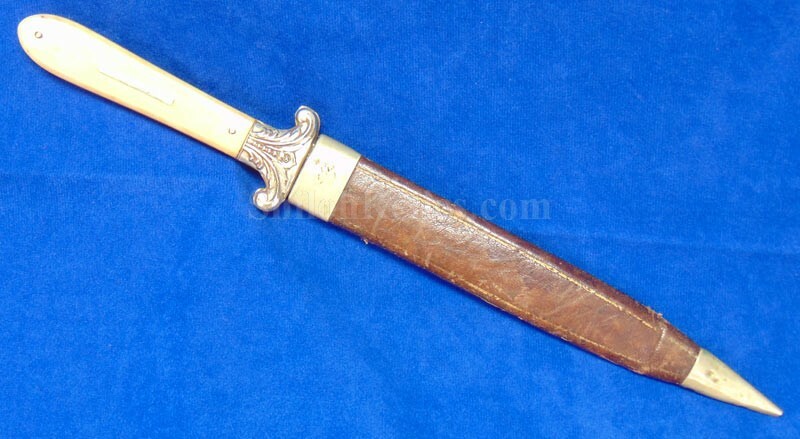 This is a very cool looking knife. This one is Civil War production because of the maker. 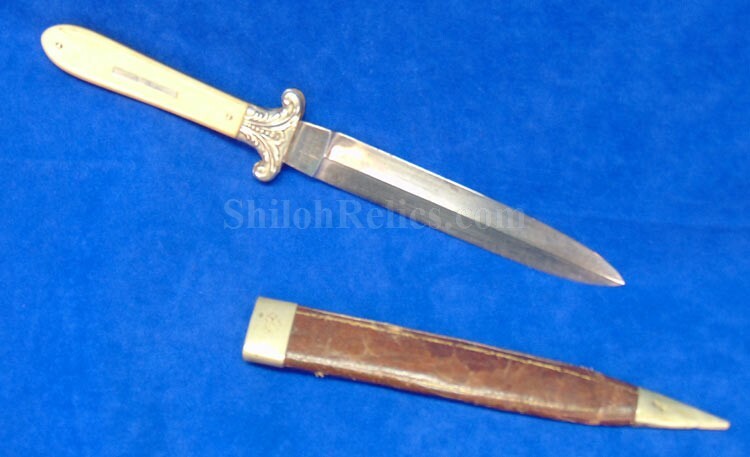 The knife measures 10-3/8ths inches in overall length with the blade making up 5-7/8ths of those inches. This is the perfect size for up close and personal fighting. 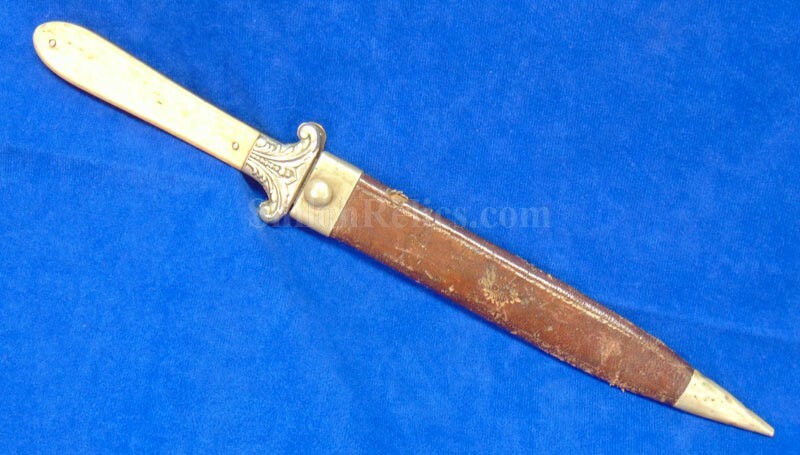 The blade has the classic spear point design that so many Civil War era Bowie knives had. 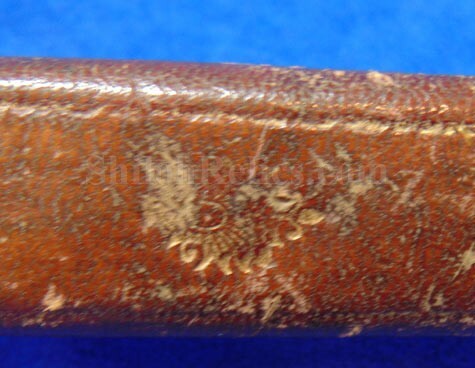 The left-hand side of the blade base has the clear maker's Mark of "MAPPIN / BROTHERS / SHEFFIELD". 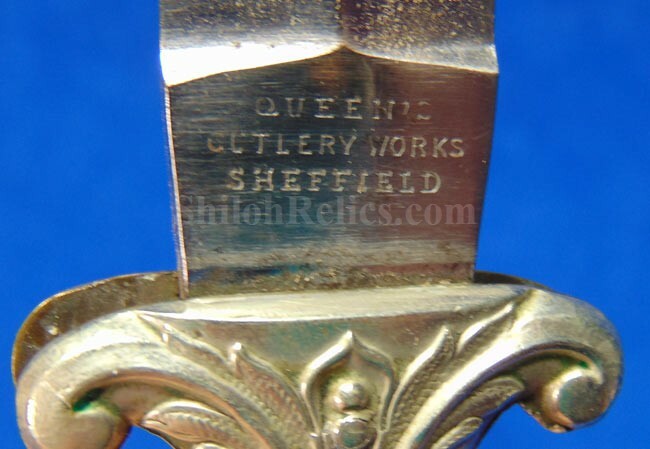 On the other side of the blade, it has the "QUEEN'S / CUTLERY WORKS / SHEFFIELD". 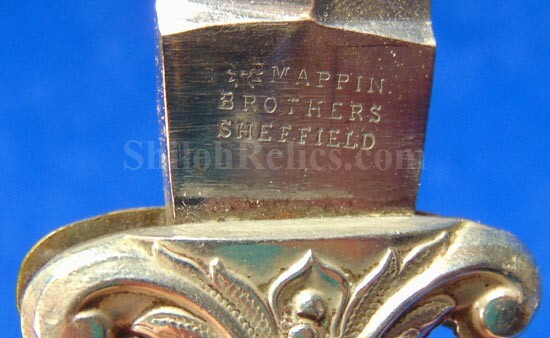 The Sheffield, England registry shows that the Mappin makers were around as early as 1774. The Queen's Cutlery marking started in 1851 and the Mappin Brothers was dissolved in 1859 so we know it was made between those years. 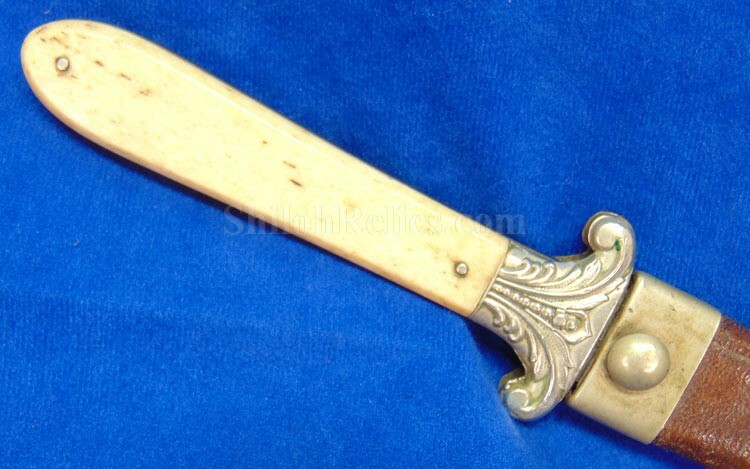 This one has the original high quality bone handles intact with a beautiful untouched look. It is held in place by two German silver pins. There is a rectangular silver inlay in one sides of the grip. They display well as you can see. The cross guard is constructed of a two pieces of German silver with a floral pattern. 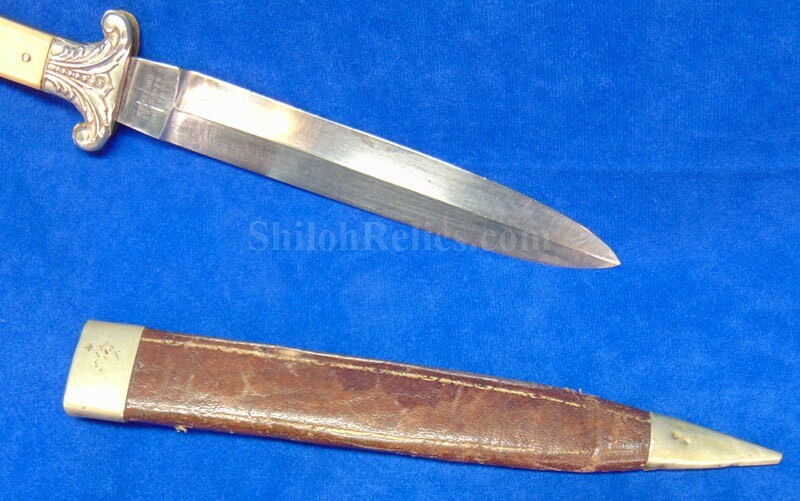 The knife is accompanied by an original leather sheath. The leather is the high quality Moroccan leather. 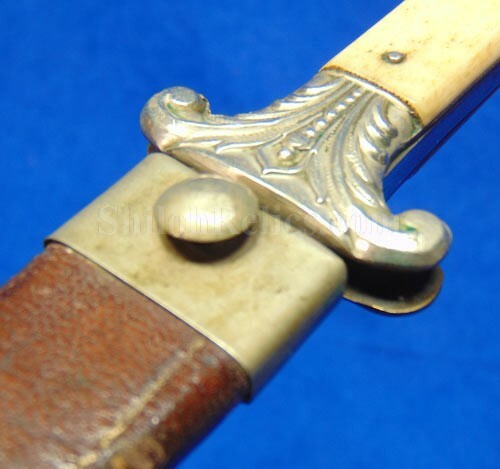 The original nickel silver top mount and drag to the scabbard are still present as well. 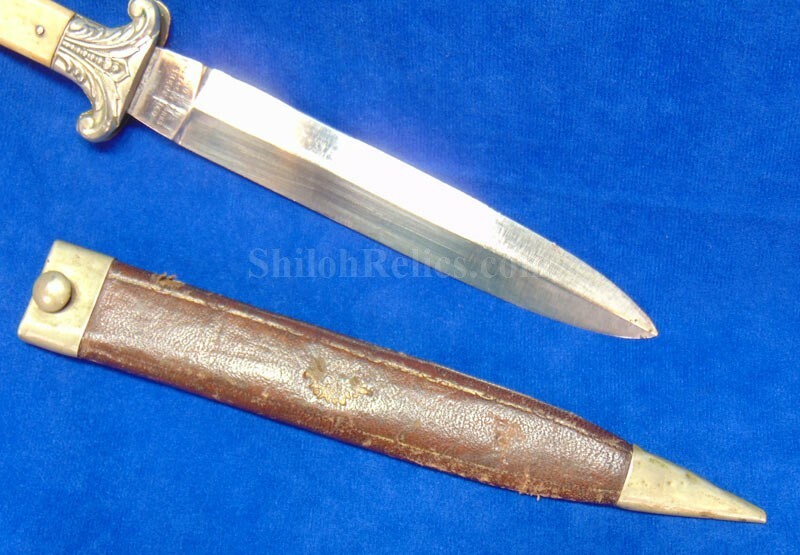 This is a very nice looking Civil War Bowie knife in sheath.